Last week I got on a skinny little regional jet with four hefty Co-Horts from work, and with a screaming winter storm tailwind we arrived at BWI lickety split. Like the damned thing was the Concorde. Good thing. Even an hour on that plane next to my boss made an imprint of his credit card on my thigh. I would have used it to buy something online, but I know he’s at least as broke as I am. Back on the ground, we hit the ground running. MANTS is huge. Time is short. Welcome to MANTS. 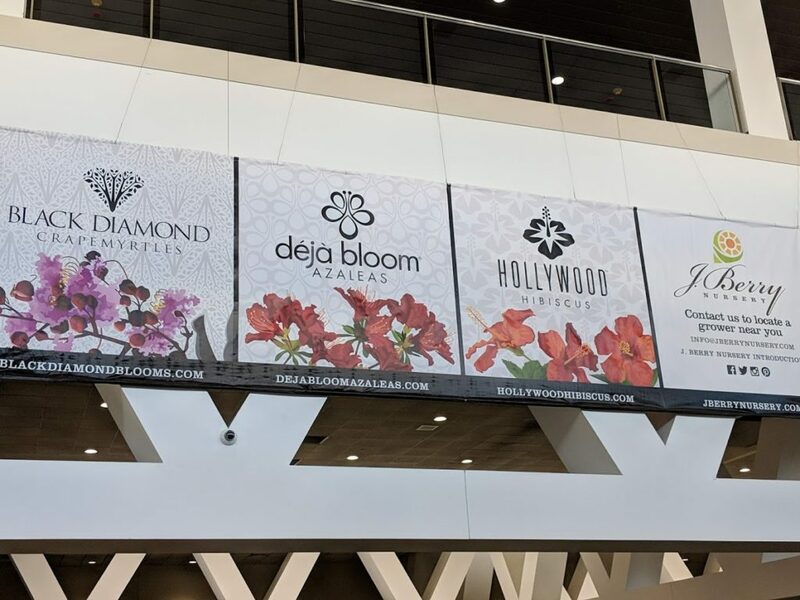 956 vendors occupying the convention center’s 300,000 square feet! I was told the waiting list for a new booth stands at 120, and may take five years. All this in the online era when many other similar trade shows have folded their tents. A quick word about Baltimore. I lived in Baltimore for one year when I was ten, and, back then, it was pretty rough. It was wonderful to see how it has changed. It is now a bustling, big city with an fun and interesting downtown. I enjoyed what I saw of it and hope to have moree opportunities to explore it further. 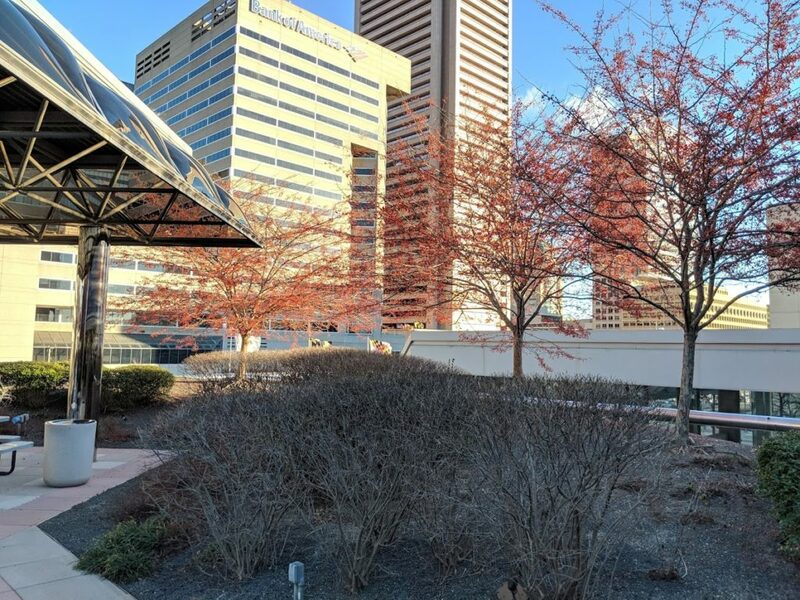 ‘Winter King’ hawthorns looking radiant on a green roof next to the convention center. 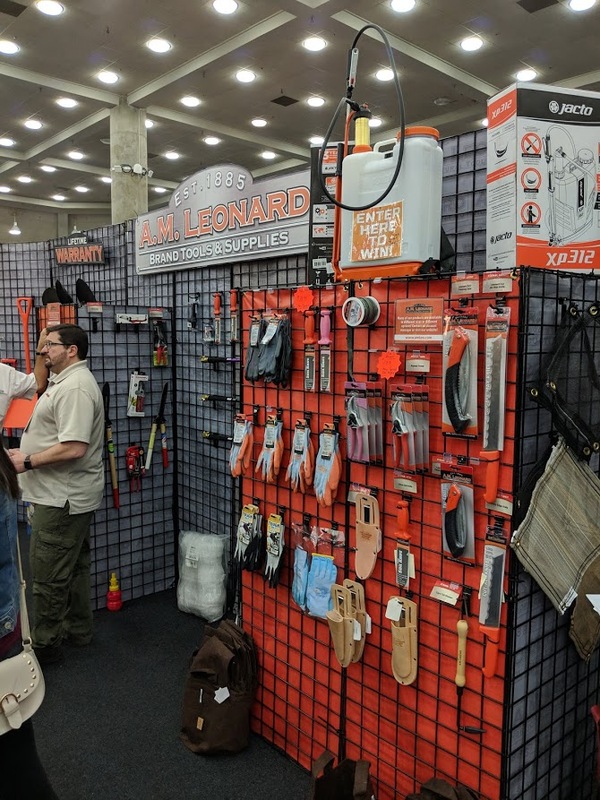 Bright and early Wednesday morning, there I was on the trade floor of MANTS, taking it in and looking like I had time traveled straight from the set of “CHiPs”. Back in 1977, I was being an idiot and crossed my eyes for too long. Locked my hair style in place forever. 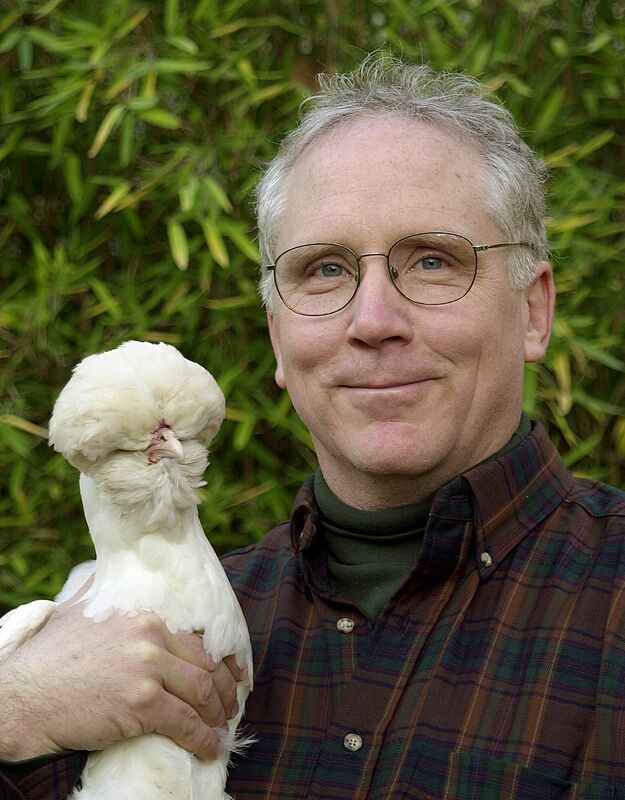 Fast forward to Baltimore in 2019, combine my tragic “do” with cheap Day’s Inn shampoo, and, boom, I’m 100% self-conscious. That stuff puffed my coif out like a bird’s feathers on a cold, cold day. Dated me like a pair of bell bottom jeans. But eventually I noticed that a large percentage of the guys there seemed to be on the same (Love) boat, and I didn’t feel so bad. Here’s a pair who used to rush through their homework so they could watch “Emergency!” on TV. 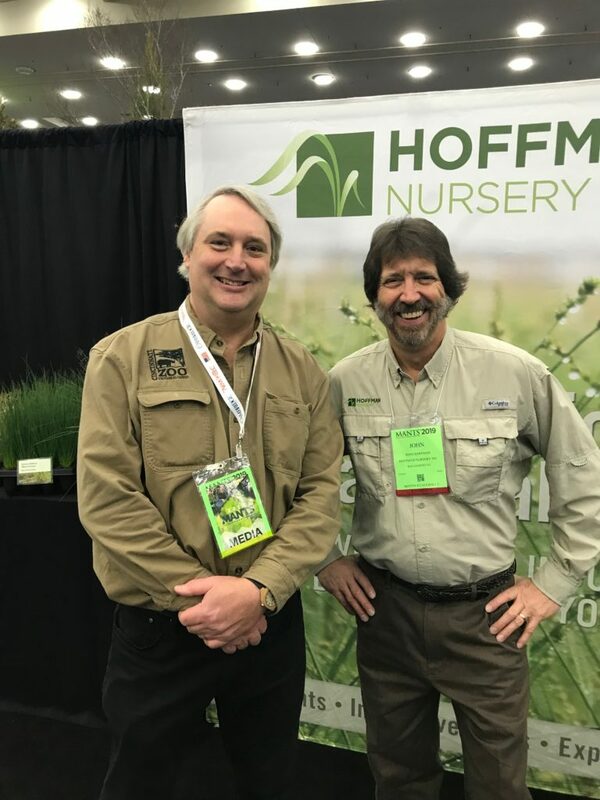 Me and my good friend John Hoffman. He grows good grass. But my 70s look and background returned to plague me as I hesitantly climbed the stairs of the Pratt Street Ale House to attend the Emergent mixer Wednesday night. 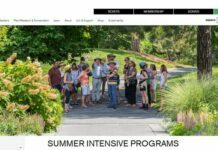 From what little I know of the group’s history, it began as a Facebook forum for young hort professionals to talk about emerging ideas, careers, and, I’m assuming, about hip hop and vaping. 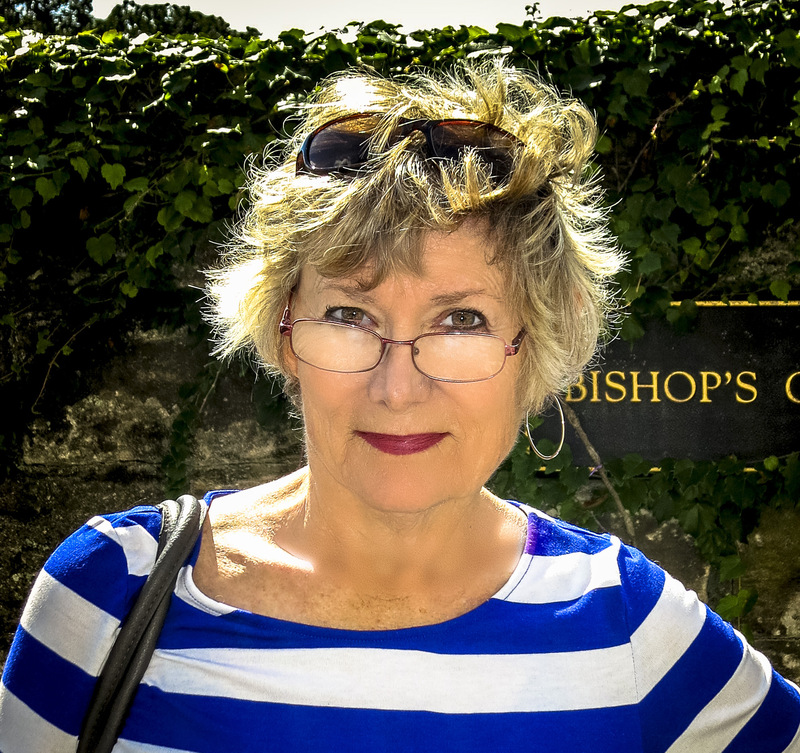 More recently, if I understand it correctly, Emergent has widened its net to include old people like me, bad hair and even, in some cases, no hair at all, ostensibly to contribute whatever professional wisdom we can still remember. 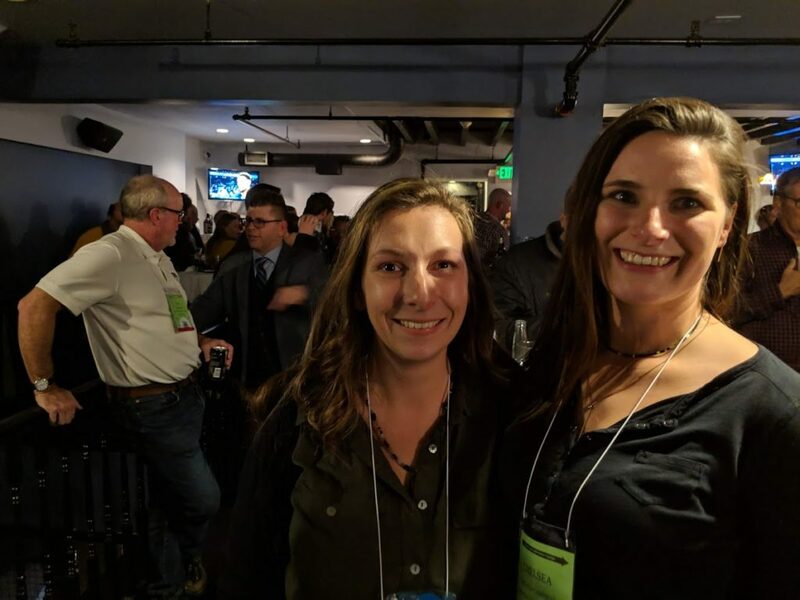 Young green industry professionals Kata from Hoffman Nursery and Chelsea from North Creek Nursery at the Emergent Mixer. These two made this old guy feel welcome and even a little bit relevant. BTW, I think those two dudes in the background were even older than me. Note: it’s after hours events like this that I live for. Mixing with the industry’s best and brightest in a social environment results in great learning, lasting friendships, and new connections. And the craft beers were pretty good too. But again, I needn’t have worried. I wound up having a blast at the party. I really respect and admire the young people in our profession. With very few exceptions, they’re unbelievable. I expect their influence on this often staid industry will be big and very positive, and hope it happens sooner rather than later. I only wish there was more of them. 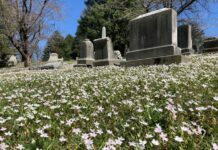 Is the world ready for a weeping yellowwood? I am. And here it is along with the guy from Dogwood Hill Farm (I forgot his name) who discovered it. After the Emergent party, I had dinner with two good friends, Terri Barnes and Mike Berkeley. Soon, the myth, the legend, Dale Hendricks, joined us. Much gossip, laughter, and, for me, learning. Got to bed early. I like to talk the talk, but I didn’t have it in me to rejoin my workmates for more beer. So, sure enough, I was up early enough to make the Media Breakfast. 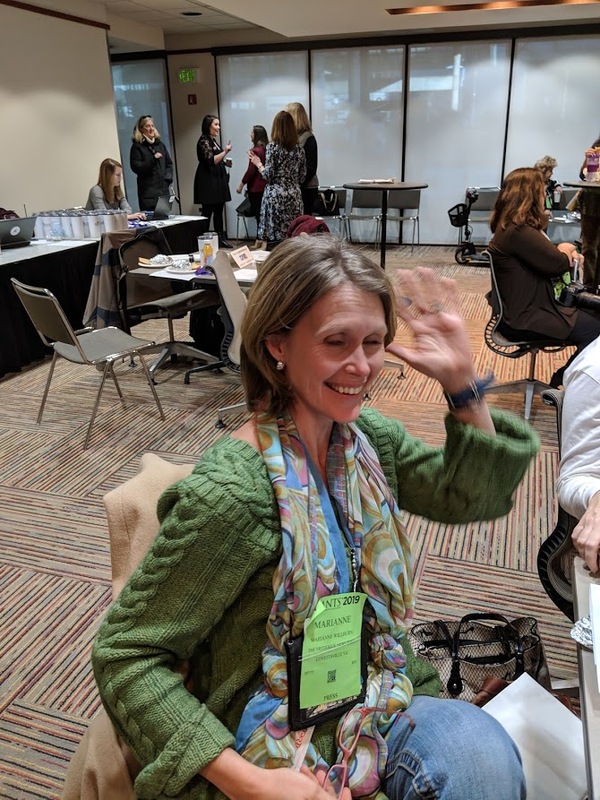 This is what happens when you too enthusiastically (or, as the case may be, terrifyingly) shove your camera phone in author Marianne Wilburn’s face at the Media Breakfast. You’d think I would’ve learned my lesson, but I never do. 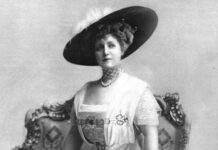 Made the same mistake to my Garden Rant partner, Susan Harris. Spent the next two hours at the Verizon store getting my Google Pixel II replaced. But the Media Breakfast was otherwise fun and fascinating. 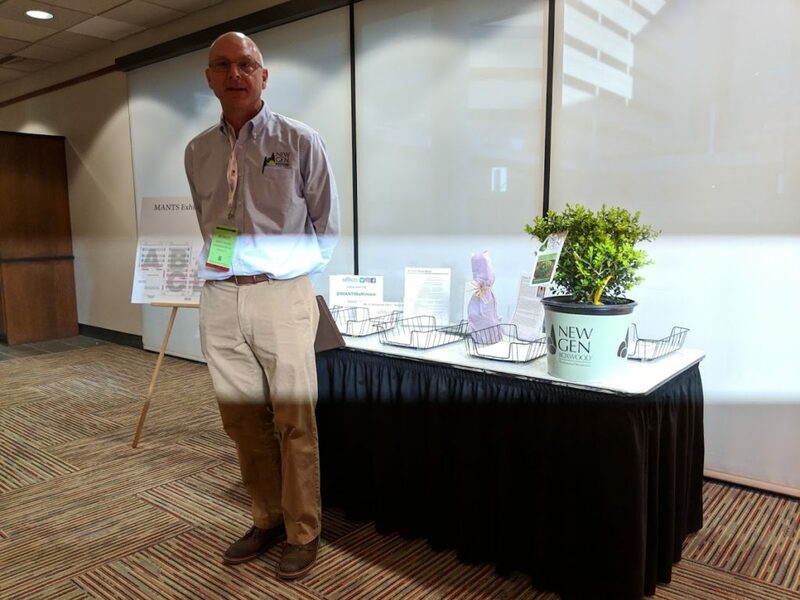 Learning about a new blight resistant boxwood from the Saunder’s Nursery speaker was especially encouraging. Next Gen boxwood, introduced by Saunder’s Nursery of Virginia, is resistant to Boxwood Blight. 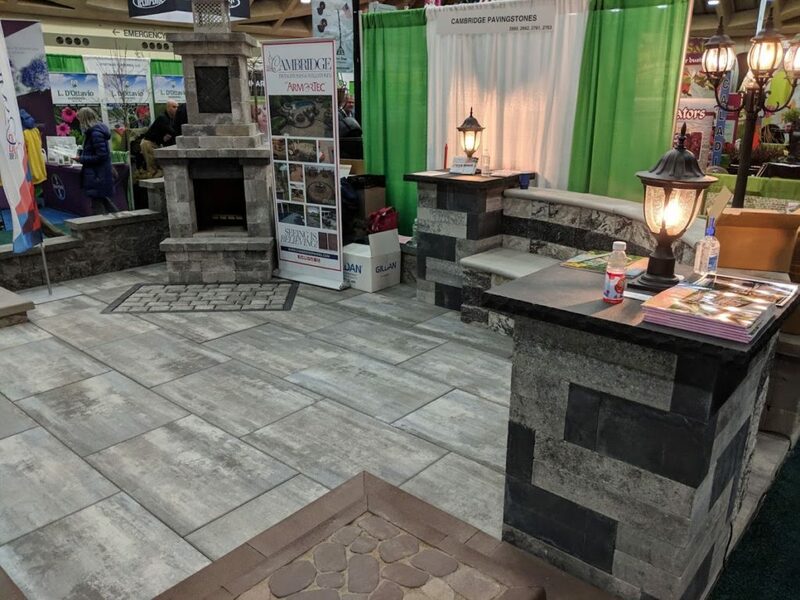 The rest of Thursday was spent finishing the trade show. It takes at least two days to see everything. Ran into Paul Cappiello from Yew Dell Garden who told me that someone had slipped two business cards into his back pocket without him knowing it. I told him that that was a decent enough story, but a better one would be to tell people that someone slipped hotel room key cards into his pocket. We both laughed. He then told me his wife no longer worries when she finds bits of paper in his pockets with women’s names on them. She knows they’re just the names of new magnolias. 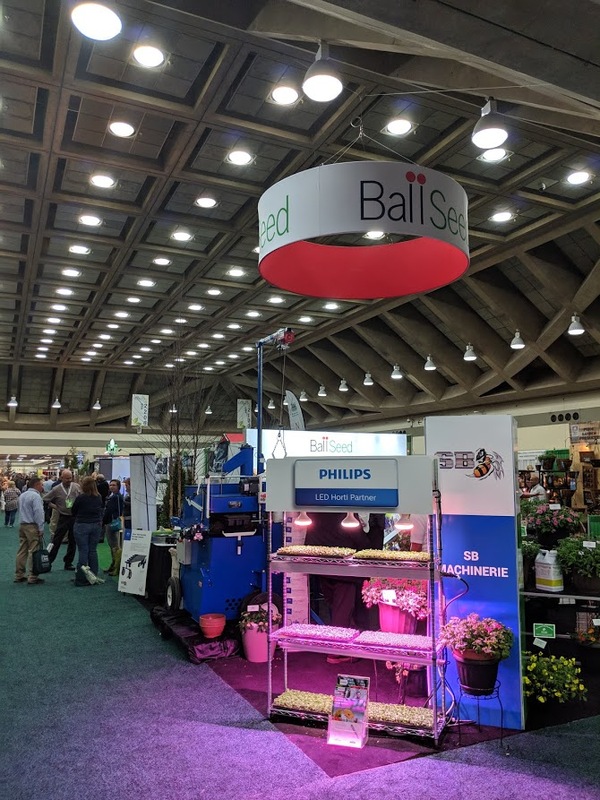 Ball Seed’s booth at MANTS. Anyway, finished the floor in time to catch the train back to the airport, spending the down time dreaming about returning next year. 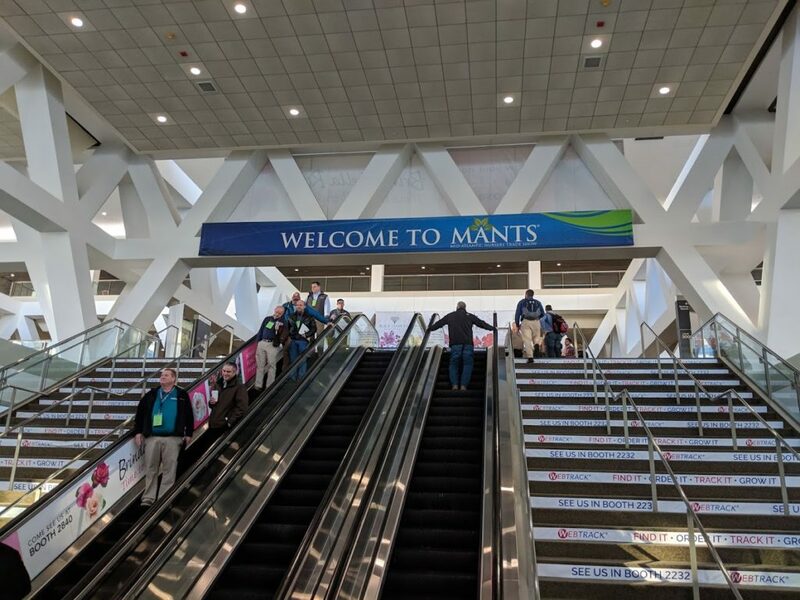 MANTS is the Center of the Universe to talk plants, see products, exchange ideas, and hang out with the Who’s Who from this vitally important green industry. More than that, it’s fun! 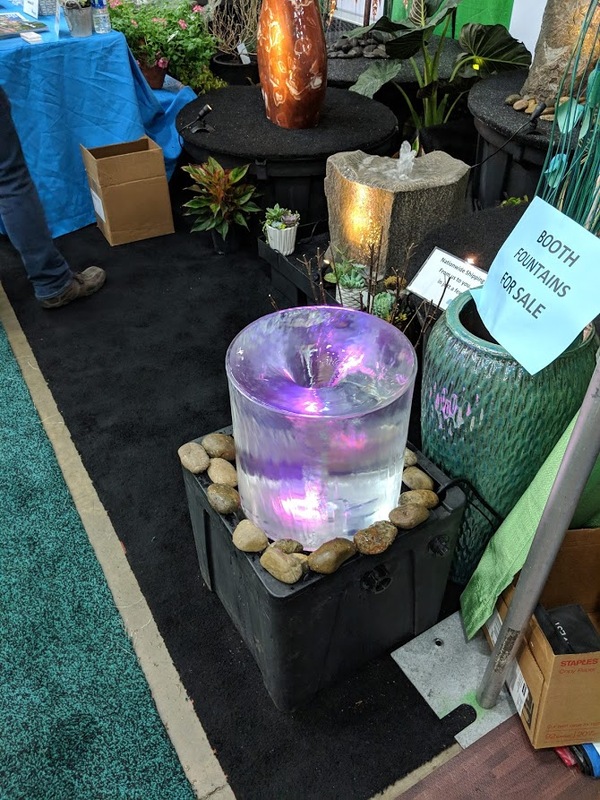 If it’s happening in the horticultural world, it’s to be found at MANTS. I highly recommend you pack a bag now and have it ready for your pilgrimage next winter. 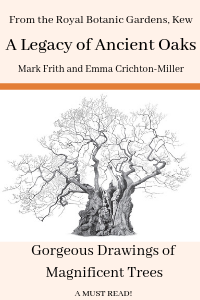 Wear comfortable shoes and prepare to be overwhelmed in the best possible sense of the word. I finally met in person longtime Facebook friends and hort world stars Todd Lasseigne (left) and Claudio Vazquez (second left). 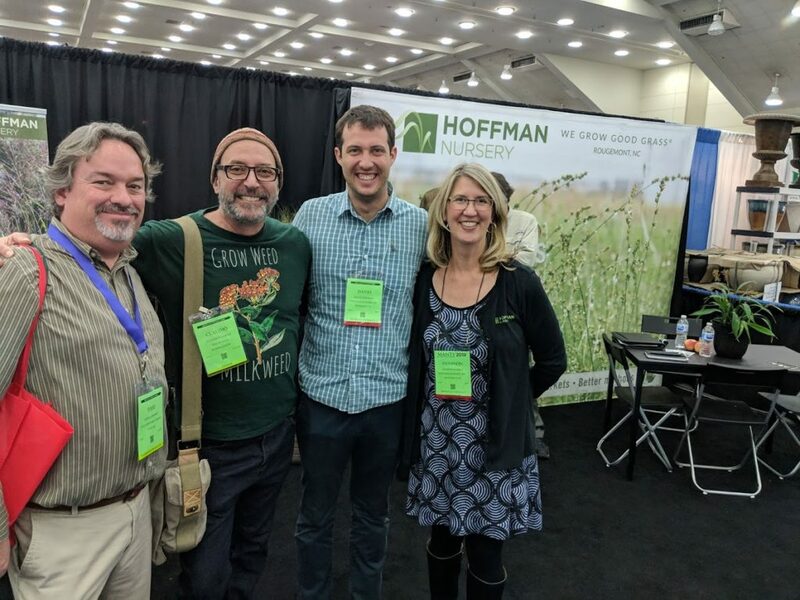 I already knew (and loved) Shannon Curry from Hoffman Nursery (right), and David Hoffman (second from right). 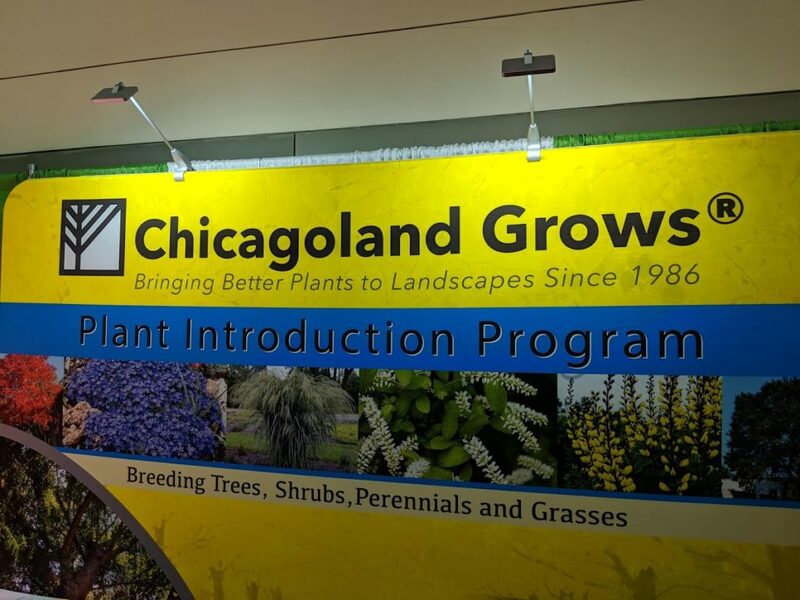 Chicagoland Grows banner, introducing people to the plants in their incredible breeding/marketing program. Stone vendors seemingly compete with each other to see who can wheel in the greatest tonnage of product. 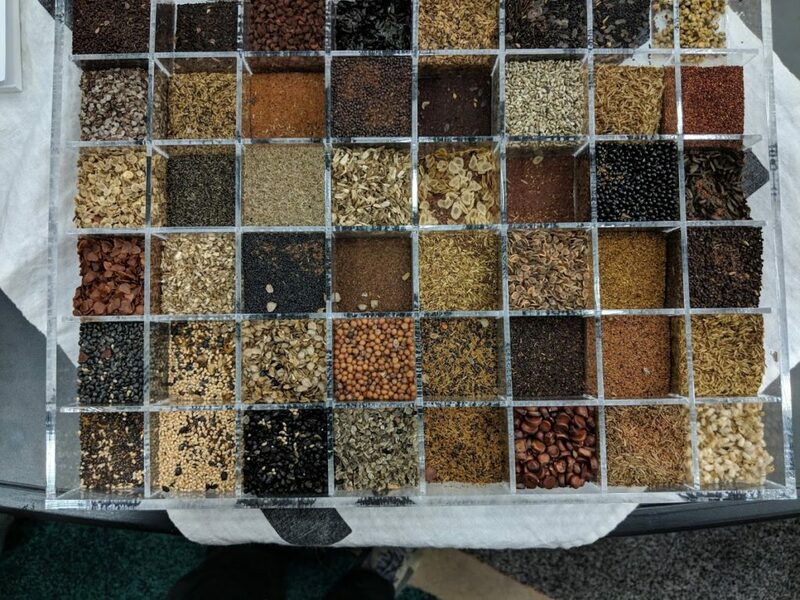 Seed vendors have it much easier. A very cool display of Jelitto Seeds products at their booth. 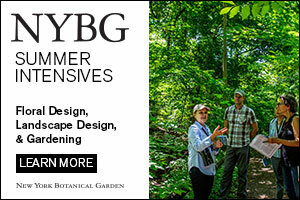 Tremendous energy and resources are expended to steer your attention to exciting new plants and products. Seemingly defying physics, a really cool water feature, complete with a vortex and a cylindrical wall of water. 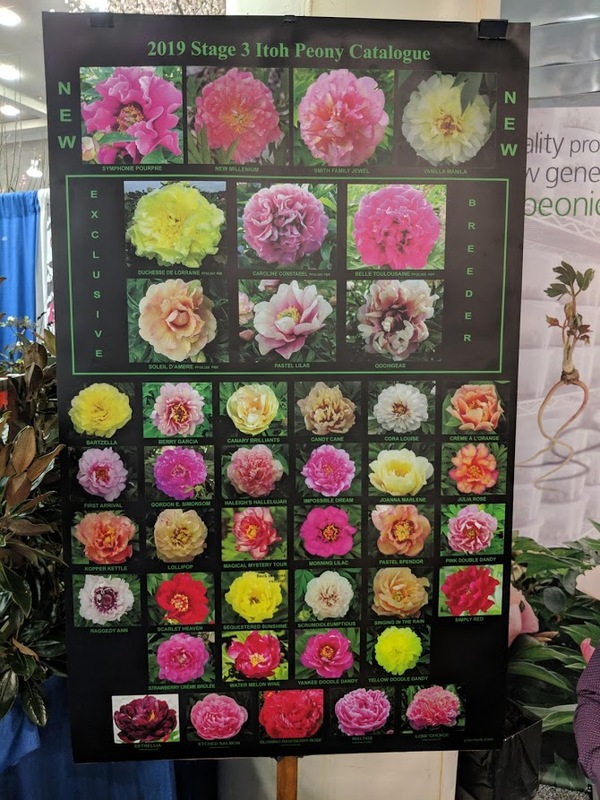 A whole palette of colors in Itoh (inter-sectional) peonies. Everyone needs to grow these plants. Love this! Amazing how different our 2 reports are. Enjoyed your whole report, but this bit made me LOL and will continue to. The wait list for booths at MANTS is an encouraging sign of hort-business resurgence. From the p.o.v. of exhibitors, media, and the trade, I’d think ‘fewer but better’ is a desirable state of play for shows, since doing any of them is a serious commitment of time, money, energy, and other limited resources. 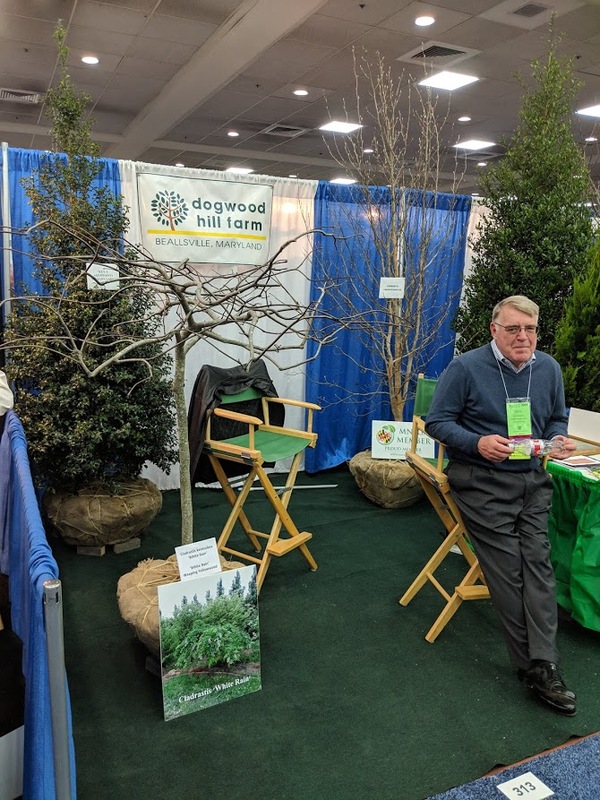 The discoverer/propagator of ‘White Rain’ weeping yellowwood pictured at the booth is probably Dogwood Hill proprietor Pete Driscoll.